Join us in reading a book together! The selection is Mrs. Lincoln’s Dressmaker: A Novel by Jennifer Chiaverini, about the friendship between Mary Todd Lincoln and Elizabeth Hobbs Keckley, a former slave who won her freedom by the skill of her needle. See the full list of books suggested by SCHS members, go to Book survey. Another book title suggested is The Aviator’s Wife by Melanie Benjamin. If we enjoy reading this first book together and discussing it, one of these other three titles could become our second selection to read together. 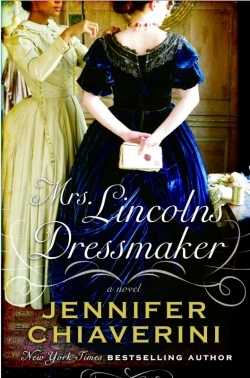 In the meantime, our selection is Mrs. Lincoln’s Dressmaker: A Novel by Jennifer Chiaverini. You may buy the book on your own or borrow a copy form the St. Louis County library system. “New York Times bestselling author Jennifer Chiaverini’s compelling historical novel unveils the private lives of Abraham and Mary Lincoln through the perspective of the First Lady’s most trusted confidante and friend, her dressmaker, Elizabeth Keckley. To actually “look inside” the book as the photo above suggests, go to Amazon.com. There is a theme in the programming and events this cold winter of 2014. The theme is women and race in America. The book Mrs. Lincoln’s Dressmaker: A Novel deals with women and race in the era of the American Civil War. Part of the appeal of the book is that these are issues of much relevance to all of us today, black and white, male and female. General US Grant comes up a number of times in the book, Mrs. Lincoln’s Dressmaker: A Novel. And then of course, Grant appears in a new role as post Civil War president, very much dealing with the issues left over from the Civil War, Reconstruction and race. The reading of the book, Mrs. Lincoln’s Dressmaker directly relates to two presentations that we are having this winter at Friendship Village Sunset Hills, as part of the SCHS at Friendship Village program. Read the book, Mrs. Lincoln’s Dressmaker to get the full effect of this series, or pick and choose. Any way you go about it, you will be looking at the issues of women and race so relevant and important to us today. Or if themes and heavy issues are too much for you to handle, think of the book and the presentations as being full of good stories full of human interest, because that is what they are and that is much of the appeal. Enjoy! Or learn and enjoy, either way, please come join us February 6 and March 6 at Friendship Village. The quilt Elizabeth Keckley made for Mrs. Lincoln which is featured in the book, “Mrs. 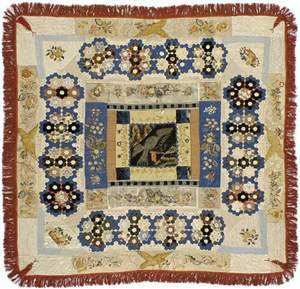 Lincoln’s Dressmaker: A Novel.” See link below to view video about the quilt. Borrow or buy the book now, read it and we will meet in January to discuss it. The date is January 15, a Wednesday night at 7:00 pm in the Anne Morrow Lindbergh Room at Lindbergh High School. If you would like to bring snacks or drinks for yourself or to share, please feel free. Feel free to bring a warm comforter! This program is free and open to the public. It is hoped that the price of admission is for each person attending to have read Mrs. Lincoln’s Dressmaker: A Novel. If you have questions about this book discussion event, call Stephen Hanpeter. See Contact Us page. This second date may help out those who had trouble getting the reading done over the holidays. • Easiest is to send comments by email. * Also easy is calling on the phone the night of the discussion. Skype would work the same way. There are more complicated ways, but why not try easy first? If you want discussion questions sent to you the day before the “Diiscussion Day” please email Stephen Hanpeter. See Contact Us page. 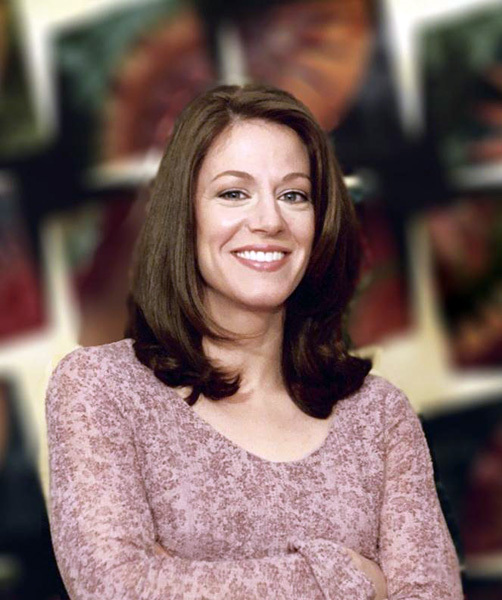 Listen to radio interview of Jennifer Chiaverini about “Mrs. Lincoln’s Dressmaker” January 22, 2013 on St. Louis Public Radio. Elizabeth Keckley entry on Wikipedia. The Penquin.com Reading Guide includes both an interview with Jennifer Chiaverini and a list of discussion questions for the book. The same questions are posted below. The New York Times book review, January 9, 2013. St. Louis Post Dispatch book review, January 13, 2013. The washingtonian.com, January 28, 2013. Watch a video about Elizabeth Keckley and the quilt she made for Mrs. Lincoln which is featured in the book, “Mrs. Lincoln’s Dressmaker: A Novel.” See photo of the quilt above. Two sets of discussion questions follow; one general and one for specifically for Mrs. Lincoln’s Dressmaker: A Novel. Use our general fiction questions to get your book club discussions off to a good start. They’re basic but smart. 1. How did you experience the book? Were you engaged immediately, or did it take you a while to “get into it”? How did you feel reading it—amused, sad, disturbed, confused, bored…? 2. Describe the main characters—personality traits, motivations, inner qualities. the book? Do they grow or mature? Do they learn something about themselves and how the world works? 4. Is the plot engaging—does the story interest you? Is this a plot-driven book: a fast-paced page-turner? Or does the story unfold slowly with a focus on character development? Were you surprised by the plot’s complications? Or did you find it predictable, even formulaic? 5. Talk about the book’s structure. Is it a continuous story…or interlocking short stories? Does the time-line more forward chronologically…or back and forth between past and present? Does the author use a single viewpoint or shifting viewpoints? Why might the author have choosen to tell the story the way he or she did—and what difference does it make in the way you read or understand it? 7. What passages strike you as insightful, even profound? Perhaps a bit of dialog that’s funny or poignant or that encapsulates a character? Maybe there’s a particular comment that states the book’s thematic concerns? 8. Is the ending satisfying? If so, why? If not, why not…and how would you change it? 9. If you could ask the author a question, what would you ask? Have you read other books by the same author? If so how does this book compare. If not, does this book inspire you to read others? 10. Has this novel changed you—broadened your perspective? Have you learned something new or been exposed to different ideas about people or a certain part of the world? 1. What are Elizabeth Keckley’s most admirable qualities? What makes her such an appealing figure? 2. Mrs. Lincoln and Elizabeth both suffer terrible tragedies. Elizabeth was born into slavery, raped by her white master, and betrayed by her husband. She lost her only son in the war and was the victim of a scandal that damaged her reputation and left her in poverty. Mrs. Lincoln lost three of her four sons, as well as her husband, and was also the victim of devastating scandals and financial distress. How do they respond differently to the trials that life throws at them? 3. What picture of President Lincoln emerges in the novel? In what ways does the novel deepen our understanding of Lincoln, both as a political leader and as a husband, father, and friend? 4. Elizabeth likes to think “that she too had played some small part in helping President Lincoln know the desires and worries of colored people better. She hoped she had used, and would always use, her acquaintance with the president and her time in the White House for the good of her race” [p. 192]. In what ways—direct and indirect—did Elizabeth helpe the cause of people of color during her time in the White House? How might her personal example of dignity, compassion, and integrity have helped her cause? What actions does she undertake on behalf of her race? 5. Why is the press so eager to vilify Mrs. Lincoln? Are any of their criticisms deserved? 6. After her husband’s death, Mrs. Lincoln tells Elizabeth, “You are the only good, kind friend I have anymore, and I don’t know how I shall get along without you” [p. 259]. Why does Mrs. Lincoln come to rely so heavily on Elizabeth? In what ways is Elizabeth a loyal and generous friend to Mrs. Lincoln? What does she offer Mrs. Lincoln beyond dressmaking? 7. Late in her life, Elizabeth tells the reporter, Mr. Fry, “When I am most in distress, I think of what I often heard Mr. Lincoln say to his wife: ’Don’t worry, Mother, because all things will come out right. God rules our destinies” [p. 349]. Does the novel itself seem to confirm Mr. Lincoln’s belief in divine providence? Does Lincoln’s death seem fated? 8. What are some of the novel’s most moving scenes? How is Chiaverini able to bring the era, as well as the Lincoln family, so vividly to life? 9. What are Elizabeth’s intentions in writing her memoir? In what ways does the editor of Carleton & Co., Mr. Redpath, take advantage of her? 10. One reviewer of Elizabeth’s memoir, Behind the Scenes, writes that “The Line must be drawn somewhere, and we protest that it had better be traced before all the servant girls are educated up to the point of writing up the private history of the families in which they may be engaged” [p. 321]. Why do the critics respond with such hostility—and inaccuracy—to her book? Why would they feel threatened by it? 12. Elizabeth learns from Mrs. Lincoln’s negative example that “the only way to redeem oneself from scandal was to live an exemplary life every day thereafter” [p. 325]. In what ways is her life, not just after the scandal but her entire life, exemplary? 13. Reflecting on her teaching at Wilberforce University, Elizabeth feels that “Her greatest legacy could not be measured in garments or in words but in the wisdom she had imparted, in the lives made better because she had touched them” [p. 339]. In what ways does Mrs. Lincoln’s Dressmaker also strengthen Elizabeth’s legacy? How much did you know about her before reading the novel? Photos from movies and plays featuring Elizabeth Keckley, Mrs. Lincoln’s Dressmaker. Jennifer Chiaverini visits St. Peters on Sunday, January 19, 2014 to do book signing for new novel, Mrs. Lincoln’s Rival. See more on Related Events in Area page. Other recent novels by Jennifer Chiaverini that may be of interest and there is more up to date information on Jennifer Chiaverini’s official website. The number of times that the name Elizabeth Keckley appears on this page may be small compared to uses of the Lincoln name. This may reflect the support role that Elizabeth Keckley held and it also follows her demeanor. But just to state for clarity that the book, Mrs. Lincoln’s Dressmaker: A Novel, is told from the view point of Elizabeth Keckley and the book is very much about Elizabeth and her relationship with Mary Todd Lincoln.